This non-magnetic MRI bearing is constructed entirely of non-ferrous materials. It is specifically suited for use in MRI rooms. This item is non-magnetic for use on MRI compatible wheelchairs. 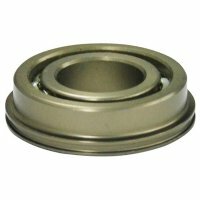 This bearing is used in replacement of BE1015X-01 to help the wheelchair roll easier. Fits: Rear Wheels with 5/8" axle, for MRI compatible 24" and 26" wide Heavy Duty wheelchairs.